We provide strategic leadership in graduate education that advances humanity and furthers knowledge to shape the future. We lead in the creation of inclusive cultures and innovative practices so that emerging scholars and professionals will thrive. We have provided nationally recognized programs and models for fostering students’ growth and well-being throughout their education. We will expand inclusive mentoring practices and catalyze continuous improvement across units to implement evidence-based practices. We have provided programs and initiatives to support and enhance diversity. We will expand our campus and external partnerships to implement inclusive recruitment and retention practices. We have actively collaborated with campus and external partners to innovate across all dimensions of graduate education. We will create and support networks that increase collaborations and improve educational opportunities. We will increase MSU’s capacity for inclusive excellence in mentoring for and by students. 1.1.1 Work with academic units to develop a template for evaluating mentorship activities for use as part of faculty development programs, annual review, and RPT. 1.1.2 In collaboration with our campus partners, establish a broad-based professional development program for faculty and academic staff focused on mentorship of graduate students. 1.1.3 Facilitate further integration of annual RCR training within disciplinary contexts. 1.1.4 Develop a tiered professional development program for graduate students aimed at developing their skills and abilities as mentors and mentees. We will promote continuous quality improvement in graduate education. 1.2.1 Conduct biennial surveys and diverse needs assessments to determine students’ career preparation and improve professional development and well-being programming. 1.2.2 Conduct a data-based program review every 3-5 years of each graduate program and collaborate with units to develop and support their strategic directions. 1.2.3 Develop an application process and accompanying guidelines for providing seed funding and logistical support for innovative initiatives in cross-disciplinary graduate education. 1.3.1 Develop a tiered professional development framework for graduate student writing development. 1.3.2 Implement a “train-the-trainer” model for personal and professional development programming to increase capacity within academic units. 1.3.3 Review and evaluate our professional development activities related to teaching and plan for the next stage of integrating programs into students’ professional development and into the academic culture of disciplines and launch a campaign to promote them campus-wide. We will formalize our connections with institutions and networks that serve diverse populations. 2.1.1 By 2019, build on our developing network with Wayne State University and seven historically black college and universities (HBCUs) to submit a proposal for the NSF’s Alliances for Graduate Education and the Professoriate (AGEP) program [Program Solicitation 16-552]. 2.1.2 Establish five new 3+2 joint bachelors-masters programs between MSU departments and partner MSIs. 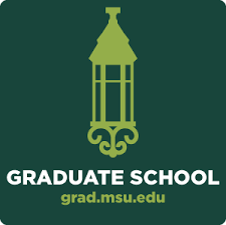 2.1.3 Develop toolkits of best practices related to diversity and inclusion in graduate education from (1) NSF INCLUDES, (2) CIRTL, and (3) the Big Ten Professorial Advancement Initiative that can be adapted and used by MSU graduate programs across disciplines. We will enhance units’ capacities to incorporate inclusive practices and foster diverse communities. 2.2.1 Increase the number of Summer Research Opportunities Program (SROP) participants who are admitted to and supported by MSU graduate programs. 2.2.2 Require graduate programs that apply for Academic Achievement Graduate Assistantships (AAGA) and recruitment-related funding to create a “Diversity Action and Assessment Plan” based upon a template developed with the Graduate School. 2.2.3 Institutionalize the recently piloted Doctoral Student Recruitment and Retention Program. 2.2.4 Reach out to I3, DRN, HR and others to collaborate on programs that will ensure a broad inclusive culture around all aspects of graduate education. We will ensure targeted and effective programs for all student populations. 2.3.1 Compile and evaluate current programs targeting underrepresented or underserved graduate student populations to assess and ensure their efficacy. 2.3.2 In collaboration with colleges and units, strengthen and create effective bridge programs that serve to recruit traditionally underrepresented students and support their needs. 2.3.3 Work with graduate associate deans and graduate program directors to adapt components of the AGEP Community model to better support students in their program and college environments. 2.3.4 In collaboration with OISS, determine needs of international students concerning transitioning to US culture, wellness, and placement, and co-develop responsive programs within and across colleges. We will formalize our connections with external partners to meet goals associated with graduate and professional education. 3.1.1 Connect more academic units to existing strategic networks, (1) NSF-CIRTL; (2) NSF-INCLUDES; (3) NIH-BEST, (4) NIH-NRMN; (5) NIH-NRMN CAN, to promote adaptation of practices to their disciplinary cultures, and to provide units with broader support for their initiatives through cross-institutional connections. 3.1.2 Building on the MSU BEST model, institutionalize and expand experiential learning opportunities for graduate students for internship/externships beyond their disciplinary fields. We will formalize strategic development and communication efforts to connect with external and campus groups, alumni and students. 3.2.1 Establish a development advisory board consisting of external donors. 3.2.2 Develop a coordinated communications strategy that includes the website, social media, and a new alumni publication. 3.2.3 Create impactful platforms for communicating with graduate students in a way that addresses their needs at different career stages and along different career paths. We will collect data to assess components of graduate and professional education and programming. 3.3.1 Address existing deficiencies and shortcomings of current data bases and portals with respect to faculty, unit, and grad school needs. 3.3.2 Establish the expertise and advocacy ability to ensure implementation of new admissions and SIS systems that meet graduate education needs. 3.3.3 Hire a data specialist to facilitate the analysis and dissemination of data for program reviews, needs assessments and climate surveys. 3.3.4 Create a hub for systematizing the collection and the sharing of data and strategies for writing successful training grants, in order to increase the number of training grants awarded to MSU. The world’s prosperity is tied to our ability to be innovative and creative, and to translate good ideas into solutions that advance our knowledge, improve the quality of life for individuals, build our economy, and strengthen our communities. Advanced degrees are central in securing this promise by unlocking the potential of today’s students to become tomorrow’s scholars, researchers, and professionals whose innovations and dedication will solve the intractable problems in need of new thinking and approaches. Our strategic plan is the result of a dedicated group of campus leaders made up of faculty, students, a postdoc, staff, and administrators convening across many days for many hours to evaluate input from all across campus, informed by the views, experiences and values of our faculty, students, postdocs, staff and administrators. Dr. Alan Glassman facilitated this process by engaging campus communities and guiding the strategic planning steering committee made up of Kristi Bowman, Courtney Bryant, Andrea Doseff, Ashley Green, Chris Hogan, Kay Holekamp, Natalia Martin, Elijah Simmons, Eric Torng, Gwen Wittenbaum, Vilma Yuzbasiyan-Gurkan, and the Graduate School Team of Ryan Bixenmann, Rique Campa, Pero Dagbovie, Melissa Del Rio, Matt Helm, Thomas Jeitschko, Mark Lee, Melissa McDaniels, Tony Nunez, Mikala Rioux, Julie Rojewski, Judith Stoddart, and Steven Thomas.